I still remember when it happened: it was June, 2017, and my “38 Volume Set” of the Church Fathers had finally arrived. I had seen this set for many years, and, being a bibliophile, and thus inherently lustful after multi-volume sets of books, I wanted to get it. But the reasons why were simply because I figured the earliest Christian leaders would have amazing, challenging, and inspiring things to say. I had no intention of studying Catholicism. Up until that day, I had been attending a new evangelical congregation now that I was back home in California after an 11 year exile, and a 3 year trial and tribulation of law school (anyone who’s done it knows what I’m talking about). So I open Volume I of my new Church Fathers set—the Apostolic Fathers, or those Fathers who knew, and/or were closest in time to the Apostles, and thus the very origins of the Church. The first name mentioned was Clement of Rome, but I skipped to the next one for my first taste of the Church Fathers. 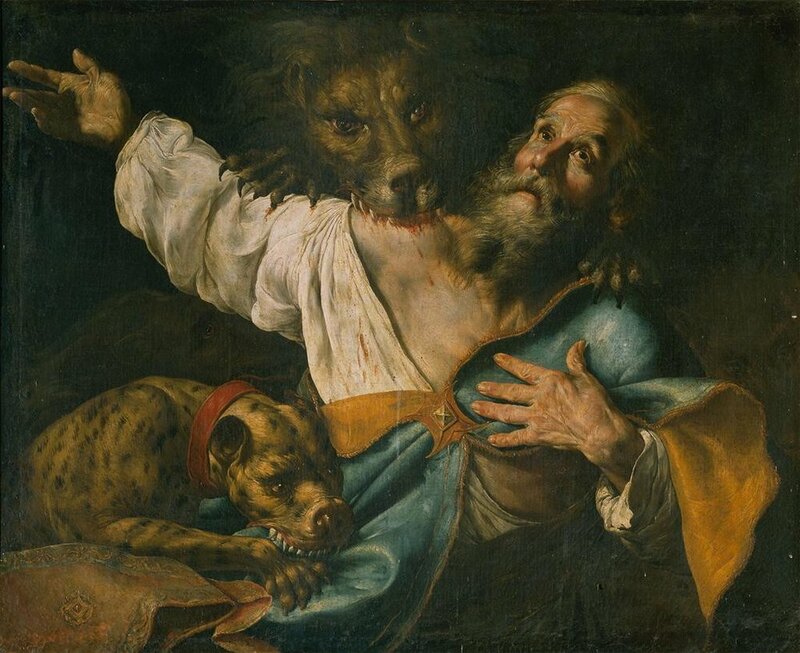 His name was Ignatius of Antioch, and while I forget which of his letters I read first, all I know is this: especially upon learning of his biography, I was absolutely stunned by his words. It was, truly, a life-changing, course-altering, “can never be the same” Red Pill moment. After reading Ignatius, I knew I was likely in for a life adjustment that I never bargained for. While I was by no means consciously thinking of becoming Catholic at that moment (after all, I had only just begun, and those Catholics couldn’t possibly be right…right? ), it also of a sudden became clear to me that much of what I had been taught, or assumed, as a protestant, was absolutely wrong. The reasons for this come down to two things that Ignatius, one of the earliest leaders of the Church, placed enormous emphasis on: the Real Presence of Christ in the Eucharist, and the authority of Bishops—the latter of which is the topic of this blog. Suffice it to say, his take on both were incredibly Catholic, and at the very least, totally incompatible with the vast majority of protestantism. Part of the shock was simply learning who Ignatius was. The short summary is this: he was the Bishop of Antioch, one of the earliest seats of Christianity. A number of ancient Church historians said he had been ordained by the Apostle Peter himself (who had founded the Church at Antioch), and several traditions said he was the child Jesus took in his arms in Mark 9:35. He was friends with Polycarp (who was martyred several decades earlier), and it is very likely that Ignatius was taught by none other than the Apostle John himself (as was Polycarp). Ignatius was one of those early Church Fathers whose life not only overlapped with the Apostles, but was intimately associated with them. Thus, it stood to reason that if anyone knew and understood truly apostolic doctrine, it would be Ignatius. Ignatius was deserving of additional respect for his eventual martyrdom. The Roman Emperor Trajan, who reigned from 98-117 AD, initiated a horrific persecution of the Christians, who refused to offer sacrifice to the Emperor, which would’ve been a tacit acknowledgment of his claims of divinity. Believing the Emperor to be just a man, and Christ alone the supreme Lord of the Universe, Christians, including Ignatius, refused. For this, the Emperor arrested them, and brought some to Rome to be slaughtered by wild beasts in places like the Colosseum. Ignatius was among them. So along his journey from Antioch to Rome, Ignatius wrote several letters to various churches. Those letters forever changed my life for their extraordinarily Catholic notions of the Real Presence of Christ in the Eucharist, and the authority of Bishops. The reason why is because, in short (this will be explored in future blogs), one either learns, or simply assumes (because of never being taught the opposite) that the early Church was proto-protestant. It only became “Roman Catholic” after the corruption brought about by pagan Emperors like Constantine, in the 4th century. While more educated protestants tend to avoid making such claims, it was, and remains, standard protestant propaganda for the last several centuries—including from some educated men who should’ve known better. And if it wasn’t Constantine, it was some other person, or some other time period, that witnessed the total corruption of the Church between the Apostles and Martin Luther. Thus, one can only imagine my utter shock and dismay when, far from espousing doctrines that were even remotely protestant (by which I mean, uniquely protestant), Ignatius of Antioch, student and ordinate of the Apostles, in the first decade of the 2nd century (barely 75 years after Christ’s death! ), is espousing deeply Catholic notions of both the Eucharist, and authority in the Church. This subject of authority according to Ignatius of Antioch will be covered over several blog posts, of which this is Part 1. In this blog, I’ll be covering Ignatius’ epistles to the Philadelphians and the Smyrnaeans, both written around the year 107 AD as Ignatius was on his way to be martyred in Rome. Ignatius, who is also called Theophorus, to the Church of God the Father, and our Lord Jesus Christ, which is at Philadelphia, in Asia…which I salute in the blood of Jesus Christ, who is our eternal and enduring joy, especially if [men] are in unity with the bishop, the presbyters, and the deacons, who have been appointed according to the mind of Jesus Christ, whom He has established in security, after His own will, and by His Holy Spirit. Which bishop, I know, obtained the ministry which pertains to the common [good], not of himself, neither by men, [Gal. 1:1] nor through vainglory, but by the love of God the Father, and the Lord Jesus Christ; at whose meekness I am struck with admiration, and who by his silence is able to accomplish more than those who vainly talk. Wherefore, as children of light and truth, flee from division and wicked doctrines; but where the shepherd is, there follow as sheep. Keep yourselves from those evil plants which Jesus Christ does not tend, because they are not the planting of the Father. Not that I have found any division among you, but exceeding purity. For as many as are of God and of Jesus Christ are also with the bishop. And as many as shall, in the exercise of repentance, return into the unity of the Church, these, too, shall belong to God, that they may live according to Jesus Christ. Do not err, my brethren. If any man follows him that makes a schism in the Church, he shall not inherit the kingdom of God. If anyone walks according to a strange opinion, he agrees not with the passion [of Christ]. Take heed, then, to have but one Eucharist. For there is one flesh of our Lord Jesus Christ, and one cup to [show forth] the unity of His blood; one altar; as there is one bishop, along with the presbytery and deacons, my fellow-servants: that so, whatsoever you do, you may do it according to [the will of] God. For, when I was among you, I cried, I spoke with a loud voice: Give heed to the bishop, and to the presbytery and deacons. Now, some suspected me of having spoken thus, as knowing beforehand the division caused by some among you. But He is my witness, for whose sake I am in bonds, that I got no intelligence from any man. But the Spirit proclaimed 83//84 these words: Do nothing without the bishop; keep your bodies as the temples of God; love unity; avoid divisions; be the followers of Jesus Christ, even as He is of His Father. I therefore did what belonged to me, as a man devoted to unity. For where there is division and wrath, God does not dwell. To all them that repent, the Lord grants forgiveness, if they turn in penitence to the unity of God, and to communion with the bishop. The priests indeed are good, but the High Priest is better; to whom the holy of holies has been committed, and who alone has been trusted with the secrets of God. He is the door of the Father, by which enter in Abraham, and Isaac, and Jacob, and the prophets, and the apostles, and the Church. All these have for their object the attaining to the unity of God. Blessed is he in Jesus Christ, who shall be deemed worthy of such a ministry; and you too shall be glorified. And if you are willing, it is not beyond your power to do this, for the sake of God; as also the nearest Churches have sent, in some cases bishops, and in others presbyters and deacons. Thus, Ignatius speaks of three primary offices in the Church: Bishops, presbyter, and deacon. As it turns out, this continues to be true in the Catholic Church to this various days (as well as the Eastern Orthodox churches). Thus, it seems that a Eucharist was only valid if administered by a bishop, or another to whom he had delegated such authority. That alone would take another blog post to fully explore, as it fully accords with Catholic doctrine and practice to this day. For Ignatius, it is perfectly clear that the bishop is the center of authority, of unity, and of worship (i.e. the Eucharist). This was not a Church enjoying the fruits of power, wealth, and glory. This was the Church as it existed even during intense persecution—and it sounded incredibly Catholic. Moreover, it is in accordance with reason that we should return to soberness [of conduct], and, while yet we have opportunity, exercise repentance towards God. It is well to reverence both God and the bishop. He who honors the bishop has been honored by God; he who does anything without the knowledge of the bishop, does [in reality] serve the devil. I salute your most worthy bishop, and your very venerable presbytery, and your deacons, my fellow-servants, and all of you individually, as well as generally, in the name of Jesus Christ, and in His flesh and blood, in His passion and resurrection, both corporeal and spiritual, in union with God and you. Grace, mercy, peace, and patience, be with you for evermore! These are just two of the six Ignatian epistles to various churches that have come down to us. What the other four say on authority in the Church will be further explored in Parts 2+ of this topic in the Becoming Catholic blog series. But as you can already see, I suspect—with these two alone, and with one of the earliest, most authoritative (because of his association with the Apostles) voices in a barely-75-year-old Church sayings things like this, how could any protestant not wonder “what the heck is going on here?” I couldn’t ascribe it to Constantine; I couldn’t ascribe it to a powerful, corrupted Church (Ignatius was a martyr! ); I couldn’t ascribe it to medieval inventions. If the guys Martin Luther fought were totally corrupt, then it turns out that Ignatius of Antioch was, necessarily, somehow deeply corrupted as well. Here I was, for the first time in my life, confronted with the undeniable reality that the earliest Christians were remarkably, clearly, and ominously (for me, at the time) Catholic. There was not a shred of anything uniquely protestant in Ignatius’ letters.